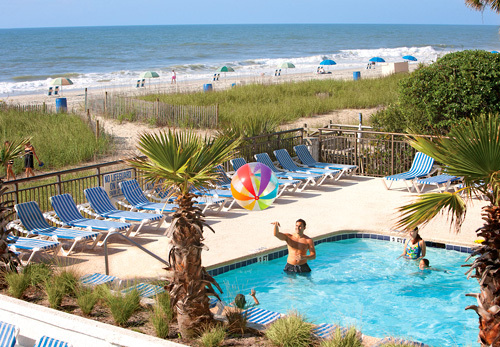 An oceanfront condo resort located just 0.3 miles from Family Kingdom Amusement Park and 0.7 miles from the Myrtle Beach Boardwalk and Promenade, Captain’s Quarters Resort offers simple accommodations with mini refrigerators, microwaves, balconies, free Wi-Fi and more. 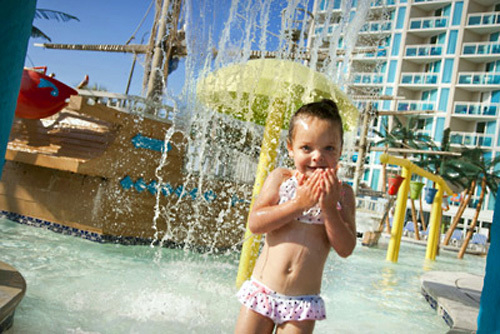 Amenities include 15 pools, lazy rivers, a kids’ water park, a bowling alley, a fitness center and other on-site conveniences. Indoor and outdoor lazy river. Minifridges, microwaves and flat screen TVs in-room. 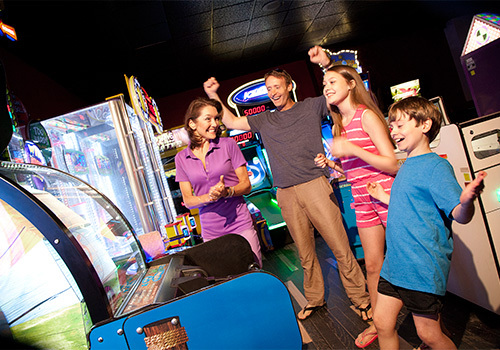 0.3 miles from Family Kingdom Amusement Park. 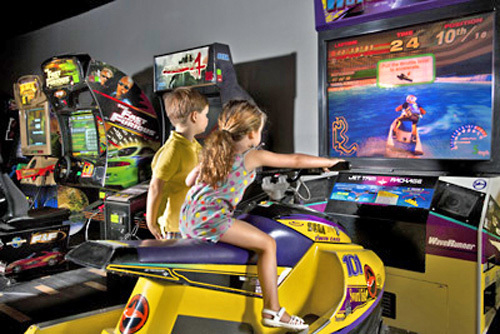 0.7 miles from the Myrtle Beach Boardwalk. 2.8 miles from Whispering Pines Golf Course. 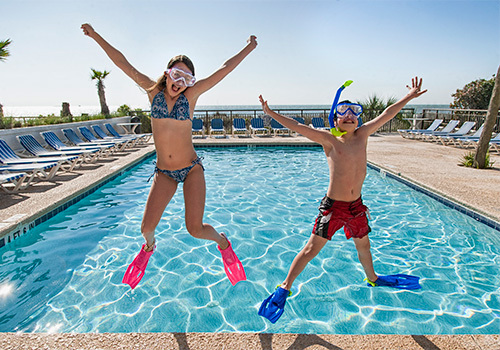 Captains Quarters Resort offers a wide selection of rooms, efficiencies, and suites; as well as offering both oceanfront & ocean views of the Atlantic Ocean. 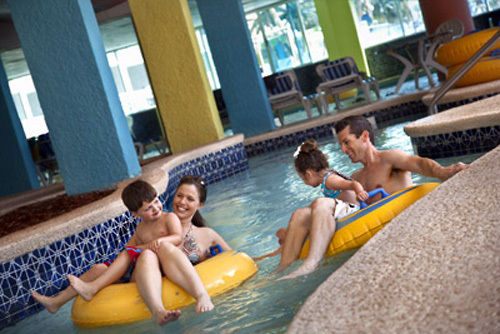 The indoor pool, three outdoor pools plus the Ship Wreck Lagoon Water attraction, six whirlpools, indoor and outdoor lazy river rides, kiddie pools along with large pool decks make Captains Quarters Resort the perfect place for outdoor fun and relaxing. 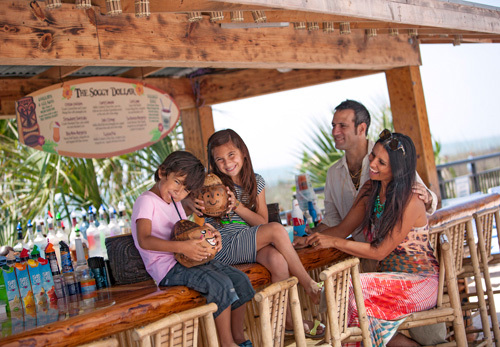 The Tipsy Turtle Pool Bar offers refreshing drinks, ideal for cooling off during your fun in the sun. 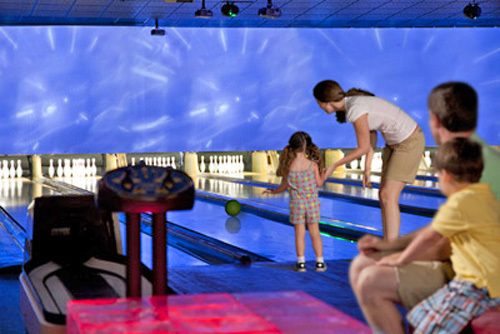 The Level 6 Entertainment complex features 20 AMF bowling lanes with electronic scoring, video arcade games, pool tables and more. 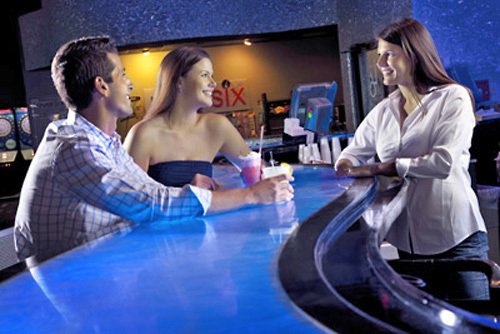 The trendy Level 6 bar serves up your favorite drinks and overlooks the entertainment center. How many rooms are available at Captains Quarters? There are 369 rooms are available at this property. How many floors do the buildings at Captains Quarters have? 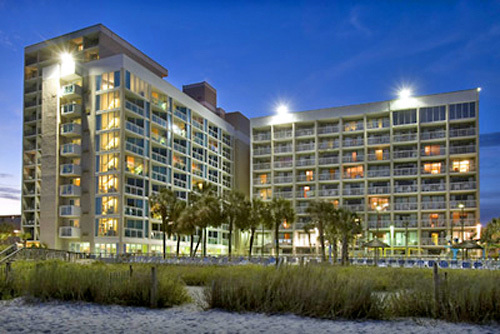 There are two main buildings at the resort. One tower has 9 stories, the other has 15. The resort is equipped with elevators. 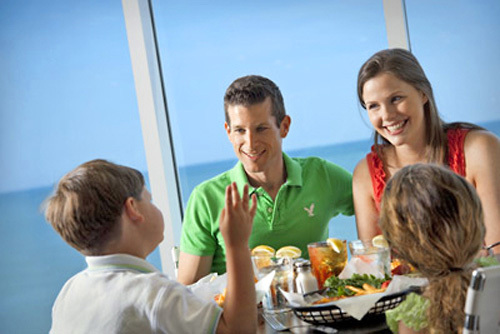 Vista Nine is located on the ninth floor and serves breakfast daily. There is also a lounge located at the Level 6 Entertainment Complex and the Soggy Dollar Pool Bar serves light fare and refreshing drinks. 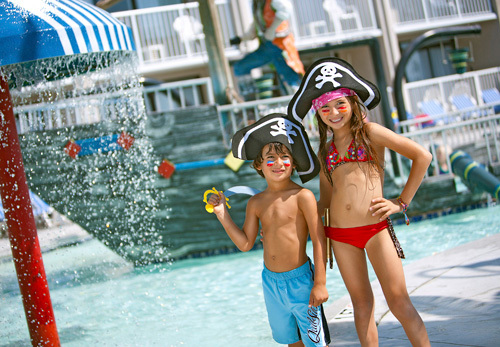 Do you have a minimum age required for check-in at Captains Quarters? 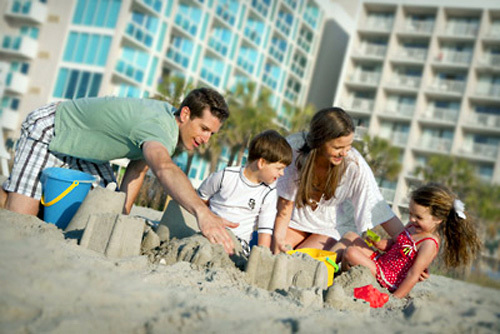 Captains Quarters charges a nightly resort fee per night, due upon check-in. 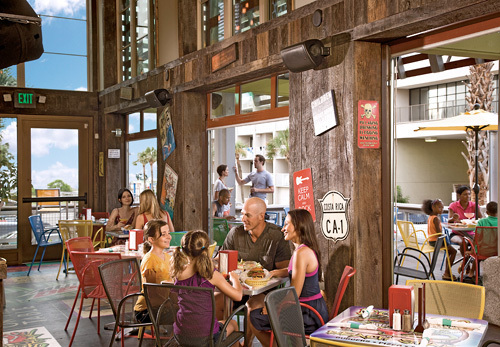 Do you charge for cribs or rollaways at Captains Quarters? Rollaways are $10 a night. Cribs are available on a first come, first serve basis. What are the pool hours at Captains Quarters?